I'm looking for a Tommy pinball machine if anyone has one they want to move on, or knows of anyone interested in selling theirs. Thanks I've just messaged him. Might be worth trying a message on Facebook to coinop king? Thanks, I'll ping him a message now. 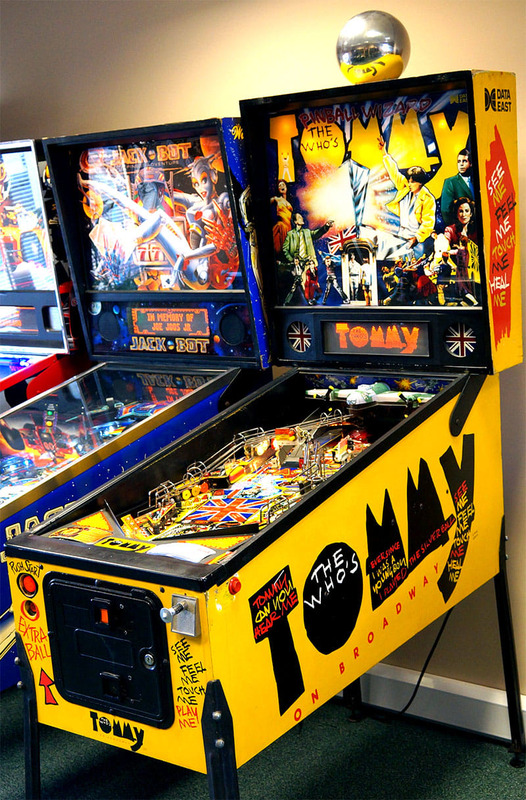 The Who's Tommy Pinball Machine For Sale UK. Fully working vintage pinball machine in fantastic condition. On display in our Bristol showroom. Money is an object unfortunately. I've seen that one from hld, nice but jeez it's expensive. Cabinet is rough. Some bad touch-ups. For 4k you would want better. Can also see dirt and crap in places on playfield - if you can't even be bothered to clean the parts you are showing off then I would hate to see the state of stuff under the bonnet. "Creatures of the black lagoon" aka CFTBL in our world. Looks externally clean, but at a price! Here we have a beautiful Creatures Of The Black Lagoon Pinball Machine for sale. How does this work?. We are are also confident in the current and on-going value of the pinball. Drop us a line or call. Thanks, I have a feeling though that since they are a retailer then it'll be about the same price as that creature from the black lagoon! Spoke to Chris at Jukebox 45s tonight. He is better to have a chat with directly. I think bottom line for an 'ok' Tommy is likely to be 2k these days - and more for nicer examples. Is that the sensible price you have in mind? It is yes. Around 2k is what I'm planning on spending. Isn't this for a gift? What else would you consider? The older Tommy related titles are quite sought after too. It certainly is. It's for my dad's 70th next year. I just specifically wanted a Tommy as we've both got fond memories of the movie when he put it on for me as a kid, plus he's a who fan, so I'm pretty gutted that the one lined up seems to have fallen through. I didn't really want an older machine as it seems gameplay is a bit limited. 90s machines have more going on to keep you entertained........and if I'm blowing this much cash on a present I want it to give years of enjoyment at least haha. If it's for next year you *should* be able to find a Tommy by then. You might need to up your budget a bit though for a nice fully working one complete with the all important blinders and topper. The one I was hoping to get had a rough cab with chunks out of it etc but was all working.......i thought it was the top end of what it should be but was going to pay that. Maybe I'm just rushing to get hold of one since I'm putting a time limit on it. I was told between 2 and 2.5 k is the going rate depending on condition. isn't the one at the electric circus up for sale? Might be worth giving @steve brum a message. I'm pretty sure he listed the one from Electric Circus for sale earlier.